For Stella Fortuna, death has always been a part of life. Stella’s childhood is full of strange, life-threatening incidents—moments where ordinary situations like cooking eggplant or feeding the pigs inexplicably take lethal turns. Even Stella’s own mother is convinced that her daughter is cursed or haunted. In her rugged Italian village, Stella is considered an oddity—beautiful and smart, insolent and cold. Stella uses her peculiar toughness to protect her slower, plainer baby sister Tina from life’s harshest realities. But she also provokes the ire of her father Antonio: a man who demands subservience from women and whose greatest gift to his family is his absence. When the Fortunas emigrate to America on the cusp of World War II, Stella and Tina must come of age side-by-side in a hostile new world with strict expectations for each of them. Soon Stella learns that her survival is worthless without the one thing her family will deny her at any cost: her independence. In present-day Connecticut, one family member tells this heartrending story, determined to understand the persisting rift between the now-elderly Stella and Tina. 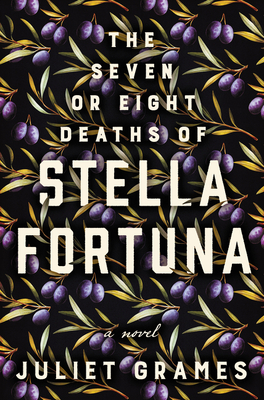 A richly told debut, The Seven or Eight Deaths of Stella Fortuna is a tale of family transgressions as ancient and twisted as the olive branch that could heal them.